So, Where the Hell Is Metal Gear: Rising? At the 2009 E3 gaming convention in Los Angeles, Konami revealed that it was developing a different spin on the Metal Gear universe. The game was Metal Gear: Rising, and it's M.I.A. 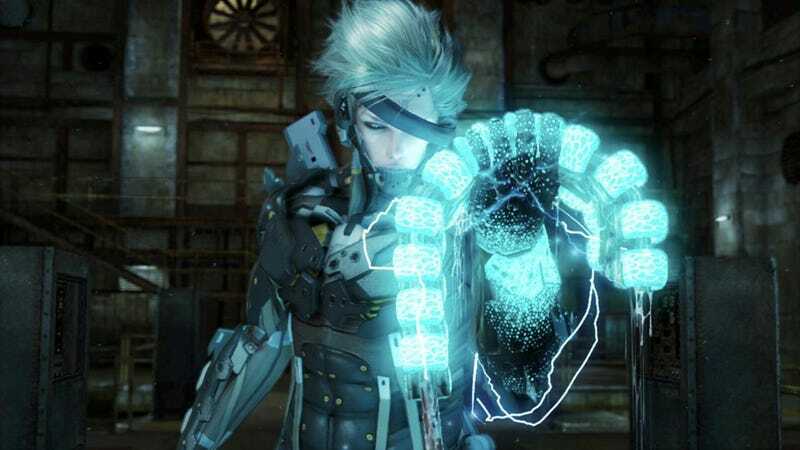 Metal Gear creator Hideo Kojima wasn't slated to helm the project, but Rising, which stars Raiden, still looked to be the next big MGS title. Rising is said to have slashing and "take" elements, as well as the traditional stealth gameplay. The following E3 saw another new trailer, and then, before you knew it, the game seemed to go "stealth". It didn't appear at this year's E3 gaming expo—though, Konami did reaffirm its 2012 release. Meanwhile, rumors swirled that Platinum Games, the studio behind Bayonetta had taken over Rising development duties. Platinum Games refuted the rumor, saying it was not making Rising. Yet, here we are, months away from 2012 with a big gaming convention around the corner, and no sign of life from Metal Gear Solid: Rising. Konami launched its Tokyo Game Show site that lists what titles will be at the show. There will be three MGS games (Peace Walker HD, MGS HD, and Snake Eater 3D) and Rising doesn't seem to be one of them. There's still a few weeks to go, and Konami can always make a surprise announcement, slap together a trailer and shove out a demo. Until then, where the hell is Metal Gear Solid: Rising? It seems like that's exactly where it sounds like it is—development hell. Kotaku is following up with Konami and will update should the company comment.